LSM-775 is a lysergamide psychedelic with a limited history of use. It’s generally described as being less psychedelic than LSD, but it has more dream-like effects. 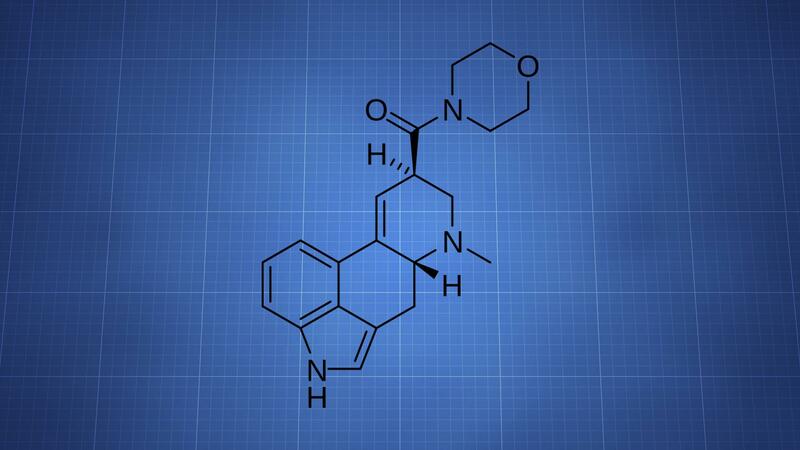 The drug isn’t as potent as LSD, with a common dose being around 10x that of LSD. Nausea is a common negative effect and it can be strong enough to significantly reduce the drug’s potential pleasantness. Dream-like states and sedation are produced more often with LSM-775 than with LSD, leading some users to compare it to LSA. Its sedation may be strong enough to cause light-sleep during the core experience. The open-eye effects are sometimes similar to those of LSD, though it’s often considered weaker as a psychedelic. In some respects, given its perceptual effects and the dream-like experiences that can arise, it has dissociative features. Nausea is quite common, often contributing to a negative body load at common doses. The body load is strong enough that a lot of users don’t continue using LSM-755. LSM-775 is a lysergamide, placing it in the same group as LSD, LSA, and AL-LAD. 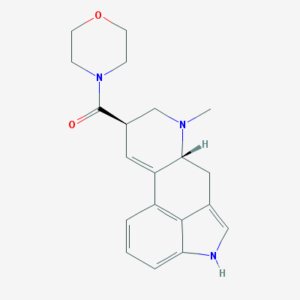 It differs from LSD in that a morpholine moiety has replaced LSD’s diethylamine. 5-HT2A agonism is presumably present. There may be other serotonin agonist and non-serotonin activities. A paper was published on LSM’s activity in animals and some of its pharmacology was explored. Based on this report, it was considered less potent than LSD, but capable of generating some of the same behavioral effects. Alexander Shulgin gave a small description of LSM-775 in TiHKAL. It was described as LSD-like and either being similar in potency or only operating at much higher doses (350 – 700 μg). Sales in the research chemical (RC) market began around 2012 or 2013, leading to some experience reports. It remains available from some vendors in the RC industry, but sales appear to be relatively low. Given the way its effects stack up against other psychedelics, including RC lysergamides, one would expect its use to be minimal. 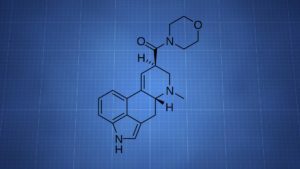 While little is known about the drug, current evidence indicates a common dose will be similar in psychological and physical safety to LSD. Not enough information exists to say exactly how safe it is, particularly at higher doses. Due to this lack of information, it’s best to use the drug at the lowest possible dose, as infrequently as possible, and without combinations.